Encyclopædia Britannica (1910). Encyclopædia Britannica. 14. Books.google.ca. Retrieved 29 January 2011. Wheeler, Benjamin Ide (1900). 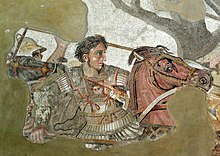 Alexander the Great; the merging of East and West in universal history. New York: G.P. Putnam's sons.